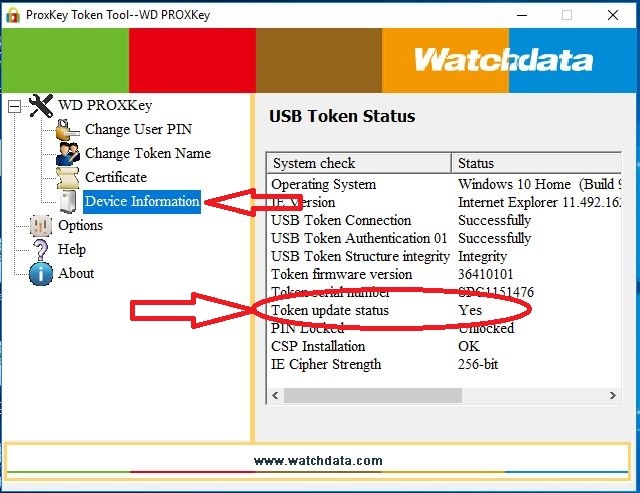 To Verify whether token is updated, Click on ‘Device Information’ & Locate ‘Token Update Status’. PLEASE ENSURE YOU FOLLOW THESE STEPS BEFORE DOWNLOADING ANY DSC ON CAPRICORN SYSTEM. SIr what happen if we install this new proxkey driver and then insert a token with digital signature in it. Digital signature will be remain safe or not.